He said it was not possible that in a place where even journalists were not allowed without checking, "a man just walked in with chilli powder." A day after a security breach inside the Delhi secretariat where a man threw chilli powder at him, Delhi Chief Minister Arvind Kejriwal said on Wednesday that his political rivals had hatched a conspiracy to eliminate him. Kejriwal, who visited a village in Haryana's Sonepat district, around 60 km from Delhi, on Wednesday to meet the family of a martyr who laid down his life in Jammu and Kashmir recently, told media that Tuesday's attack on him was the fourth one in two years. "In the last two years, there have been four attacks on me. This is not a minor issue. I don't think that there is any example in India's political history of a chief minister facing four attacks in two years," Kejriwal, said, without naming anyone. The 50-year-old Chief Minister said the development agenda pursued by his government, especially in schools and hospitals in Delhi, had made his political rivals jittery and they had "hatched a conspiracy to eliminate him". 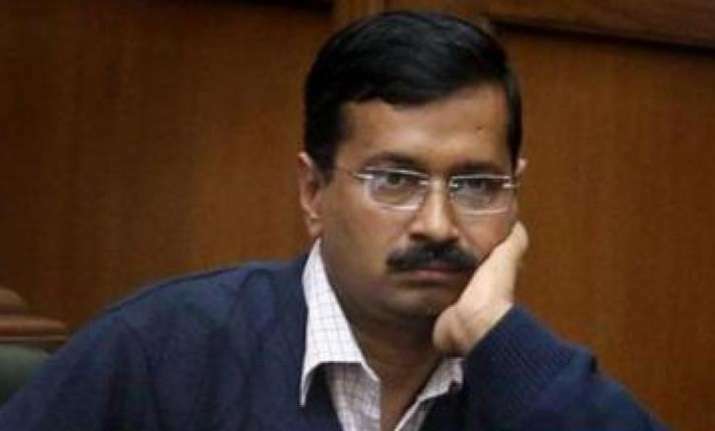 The Delhi Police on Tuesday arrested a middle-aged man, Anil Sharma, who attempted to attack Kejriwal with chilli powder when he stepped out of his office after a meeting at the Delhi Secretariat. Deputy Chief Minister Manish Sisodia had lashed out at the BJP and Delhi Police. "This is a conspiracy. The BJP does not have any work to show. They along with Delhi Police are trying to attack the Delhi Chief Minister," Sisodia had told reporters in New Delhi on Tuesday. "This is not possible without the involvement of Delhi Police, which is working on BJP's orders," he added.